Once in a great while, a story comes around that is so random that it defies, well, randomness. However, this randomness proves to be rather enjoyable for most anyone who reads it. The 19th century had Lewis Carroll’s Alice’s Adventures in Wonderland and the 20th century had Douglas Adams’ The Hitchhiker’s Guide to the Galaxy, just to name a couple. Now the 21st century has received its story of randomness by writing pair Nick Scott and Noa Gavin and has been given an equally random title: Practical Applications for Multiverse Theory. It is homecoming weekend at Carson High School and the student body is celebrating the excitement with themed days of the week leading up to the big football game and dance. Unlike the students who only have to worry about cheering for the team or who they will take to the dance, seniors Scott and Davey have other things to worry about… like how to stop all of the universes that have begun collapsing into their school from completely destroying their universe as they know it. Now the unlikely pair of nerdy introvert and snobby cheerleader must overcome their differences to save the lives of the students completely unaware of the chaos that is ensuing around them. From the very first page to the very last, readers should expect the unexpected from co-authors Scott and Gavin. Readers are in for a ride that will make them question their sanity, will make them laugh out loud, and will more than likely make them say aloud something along the lines of “Huh?” or “What the (insert choice word here)? !” many times before they even reach the final chapter. 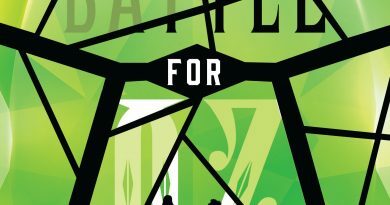 It most certainly is an interesting read and readers will more than likely come to different conclusions on what they think of it, but Scott and Gavin’s debut is definitely worth the read. As the story progresses, there almost seems to be no rhyme or reason to the content which can be seen in both a positive and a negative light. 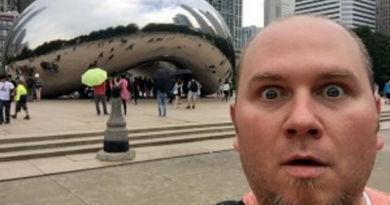 The list of amazingly impossible things that happen to Scott, Davey, and their friends is overflowing with pure entertainment, but the list can also be overwhelming, sometimes throwing a bit too much randomness at the readers when what they are really looking for is the plot of the story. When the plot is revealed, it really helps to round out the story and bring a new sense of enjoyment to the random chaos that follows. 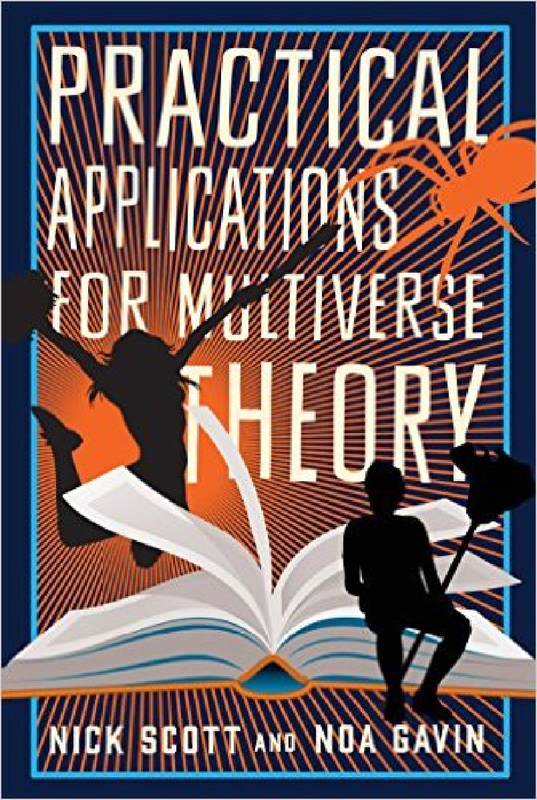 Practical Applications for Multiverse Theory is marketed as a young adult novel; however, readers may question the story’s intended audience the further along they read. With the setting being in a high school and ninety percent of the main characters being teenagers, it reads, in a sense, as a young adult novel normally would. In another sense, the language used by the teenagers as well as most of the chaos that ensues is geared more towards an adult audience. Both young and older audiences will find enjoyment, but if parents are not fond of their children reading foul language, be wary. Aside from the random entertainment, the characters really make the story. Each has their own personalities and Scott and Gavin did an excellent job of making them act like stereotypical teenagers, while also making them unique. Many teenagers will most certainly be able to relate to Scott for he is an introvert who makes many pop culture references in the midst of the chaos. Readers will probably find themselves liking some of the characters more than others, between Davey, Scott, and their friends, but one character really stands out above the rest: Scott’s friend, Ted. Ted is a man of few words… two words, actually: “Hey, man.” And yet, Ted will become the instant favorite amongst readers with his centeredness amidst the chaos, his famous two worded phrases, and his Mary Poppins backpack of pudding cups. Scott and Gavin’s debut was one of the six winners of the Sword & Laser Collection Contest on Inkshares. Now, Practical Applications for Multiverse Theory is about to be shared with the world. 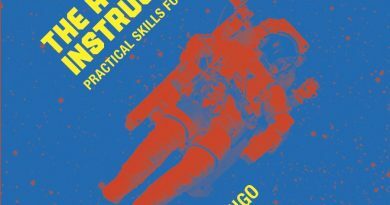 With its complicatedly memorable title, enjoyable randomness, and unique story, it is a story that is sure to bring entertainment while readers are scratching their heads in confusion. 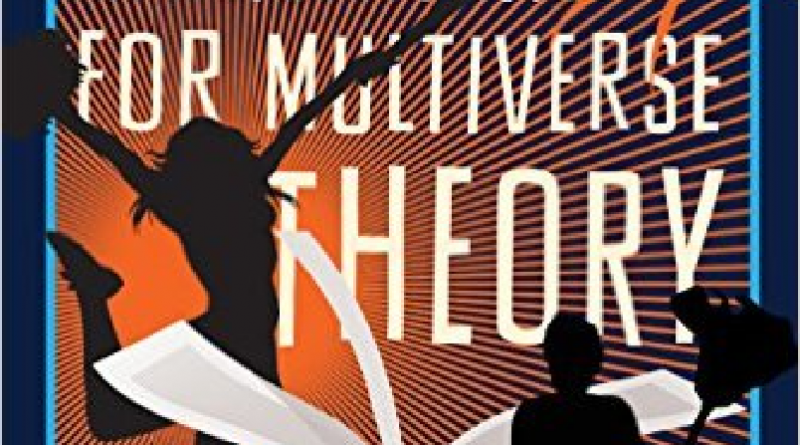 The story as a whole may not be for every reader, but whether it is a book a reader buys ten copies of or a story someone will only read once, Practical Applications for Multiverse Theory is most certainly worth the read.